The starting of the astrology year with either of the equinoxes must be veiled, because one of the extremes of the year, that is, of sunlight, seems to be the better beginning than an equinox. From a scientific and rational perspective, we can not determine which equinox would have precedence to commence the year. This indicates that Aries was arbitrarily chosen and Aries hides the true inauguration of the astrological year from the profane. The start of the astrological year could be at the winter solstice. However, this arrangement can not be satisfactory because we would have the sun’s “death” and the “birth” of the year simultaneously. Therefore, the winter solstice can not the be the beginning of the astrological year. By recognizing Aries as a weak attempt to hide the true astrological year, and eliminating the Autumnal equinox and the Winter Solstice, we are left with Cancer being the true occult inauguration of both the solar year and the astrological year. With the exchange of Aries for Cancer, the solar signs (Leo through Capricorn) and lunar signs (Cancer through Aquarius) remain unaffected. 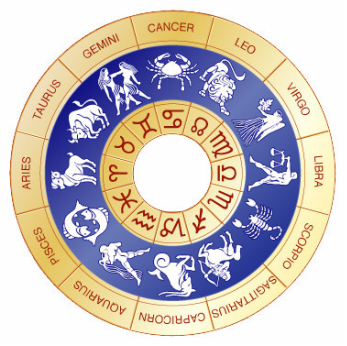 The enterprising researcher may conclude that this, too, is veiled and the correct lunar signs are Cancer through Sagittarius and the solar signs are Capricorn through Gemini.